The tenth edition of INFLORE ’14 started off with a bang on 6th November boasting of a host of colourful performances and prominent judges. INFLORE ’14: Age of Survival was inspired by the popular science fiction series Transformers. Driven entirely by the students of Rajagiri Centre for Business Studies (RCBS), this year’s Inflore distinguished itself by taking up the social cause of effective Waste Management. The first day of Inflore ’14 saw strong participation from all the contestants, resulting in a decisive victory in the Gaming, Dance and Band competitions with the remaining events drawing to a conclusion on the second day. The showstoppers of the second day of Inflore ’14: Age of Survival are Rewind: The Short Film Contest, and Metroplex: The Theme Show. The short film contest judges both the creativity and the technical aptitude of the contestants, who come out with short films whose quality rivals that of any film festival. Judging the Short Film competition will be chief guest Ajith Pillai, director of the hit film Mosayile Kuthira Meenukal. The concluding event for Inflore ’14 is Metroplex: The Theme Show. 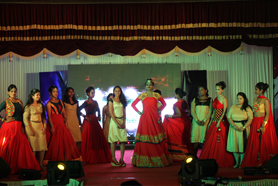 The theme show draws out not only the creativity and talent of the competitors but also requires superb teamwork from all parties. Judging this year’s competition is a quartet of media personalities- Reji Bhaskar, the talented fashion photographer producing material for magazines such as FWD, fashion choreographer Dalu Krishnadas, actress Boney and the young social entrepreneur Ann Joseph. Another event on the final day of Inflore’ 14 was Reflector: The Photography Contest which was judged by the ace photographer Aghosh Vyshnav. 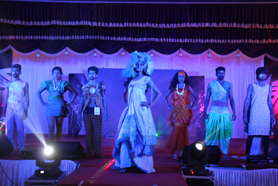 All the management events unraveled with spirited performance. The formal announcement of the autonomous status of Rajagiri College of Social Sciences was made by the Honorable Chief Minister of Kerala, the Chief Guest at a solemn function held at the Rajagiri valley campus at Kakkanad. Speaking on the occasion the CM said that, the state should be a centre for excellence for higher education and should be a globally renowned hub for higher learning and went on to emphasize the importance on focusing on quality in education. 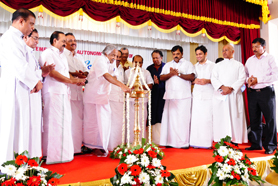 He lauded the contribution of the CMI community for the improvements in the field of education especially in Kerala. Welcoming the gathering, Rev. Fr. Dr. Antony Karyil, Director, Rajagiri Group of Educational Institutions thanked the Chief Minister and his team for granting autonomy. Having spent more than forty years in Rajagiri, Rev. Fr. Jose Ales CMI, former Director, Principal, Faculty Member and Hostel Warden, went down the memory lane recalling the emergence of the College to the present status from a Department of Social Sciences at Sacred Heart College, Thevara. In his Presidential Address Rev. Fr. Dr. Cletus Plackal, Provincial & Manager, lauded the efforts of the Chief Minister for bringing about changes in the educational system in Kerala. Shri. K Babu, Honorable Minister for Fisheries, Ports and Excise stressed the need to exercise the academic autonomy in a responsible manner.. Shri V.K Ebrahim Kunju Honorable Minister for Public Works hoped that the college will utilize the autonomy granted to improve the standards in Higher Education. Shri V.D Sateeshan, MLA , Shri Benny Behanan, MLA Shri Hibi Eden MLA Shri Joseph Vazhackan MLA ,Shri. TP Srinivasa, Vice Chairman, Kerala State Higher Education Council, and Shri. M.R Unni, Registrar, MG University offered falicitations. Dr.Joseph I Injodey, Principal proposed the vote of thanks.